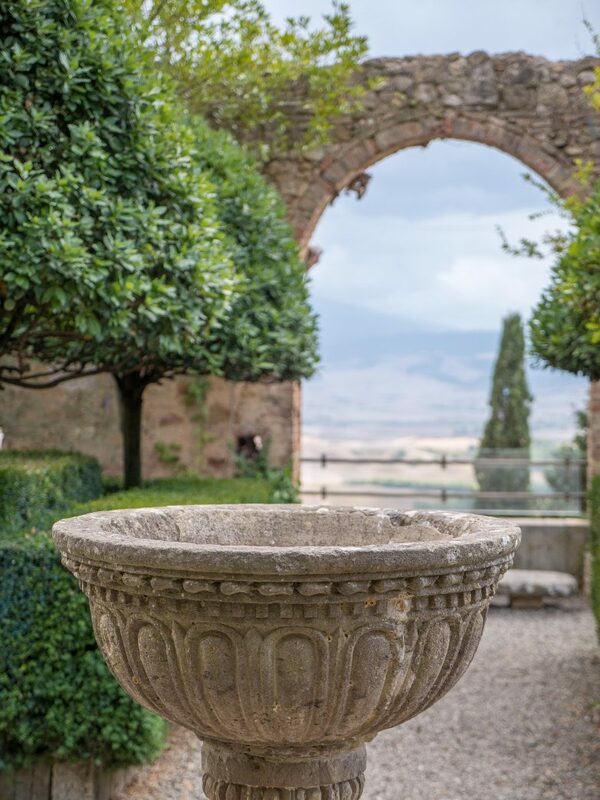 Last summer, while on the way back from Florence to our apartment in Southern Italy, Chris and I stayed with some friends of ours in a villa in Montepulciano for a few days. While having dinner at a restaurant in the area, I noticed a nearby hill town silhouetted against the beautiful Tuscan sunset. The following morning, the village looked even more interesting from our villa, and we decided to visit it. 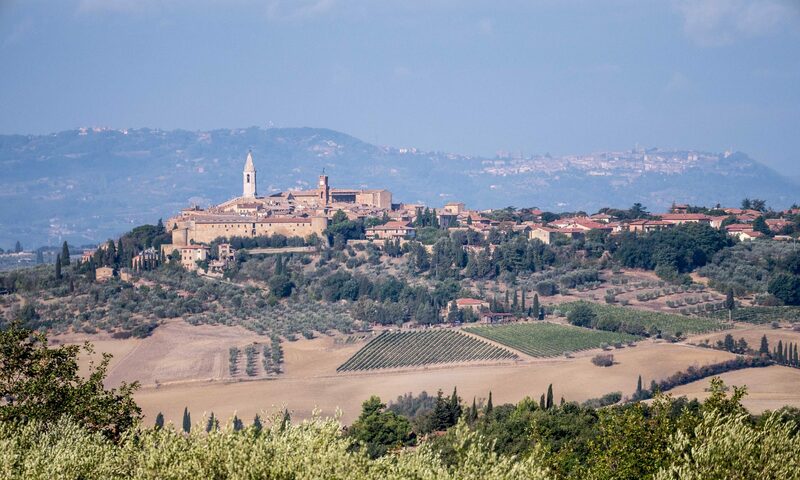 Pienza is just a few miles away from its better-known sister village of Montepulciano (which we had visited the previous day) and turned out to be a short 20-min. drive away from our villa. The history of Pienza is fascinating. 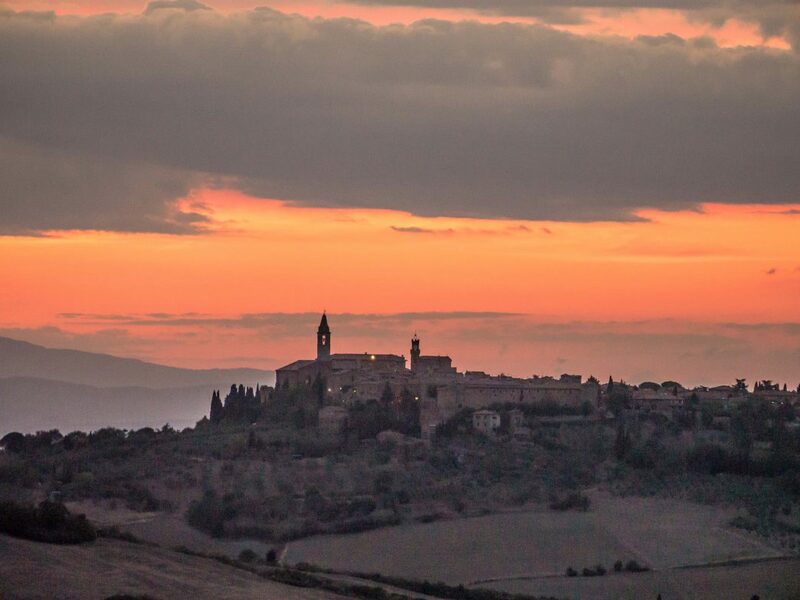 The village is in the beautiful Val d’Orcia area and was originally settled in the 8th century as Corsignano. The noble Piccolimini family from Siena had vast estates in the neighboring areas; Enea Silvio Piccolomini was born into that family in Corsignano in 1405. After studying in Siena and Florence, Enea became a brilliant orator and scholar, and was elected Pope in 1458 as Pope Pius II. 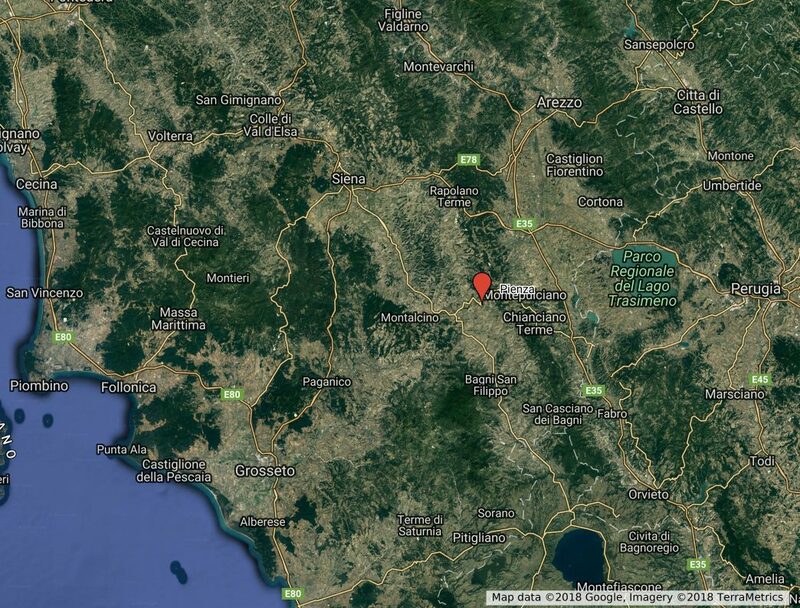 He had a dream of transforming his native village into an ideal Renaissance town, much like a smaller Rome. He enlisted the help of the architect Bernardo Rossellino to start work on the reconstruction of Corsignano in 1459. Pius II renamed the village as Pienza, after himself. Most of the work on the village stopped with his death in 1464. In 1996, UNESCO declared the town a World Heritage Site. 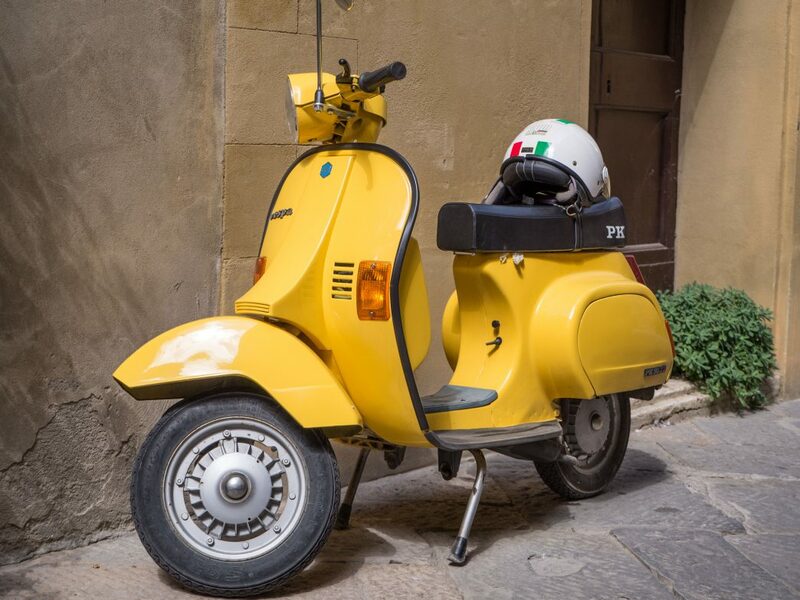 We found Pienza to be much less crowded than Moltepulciano and enjoyed walking through its narrow streets and visiting several shops. 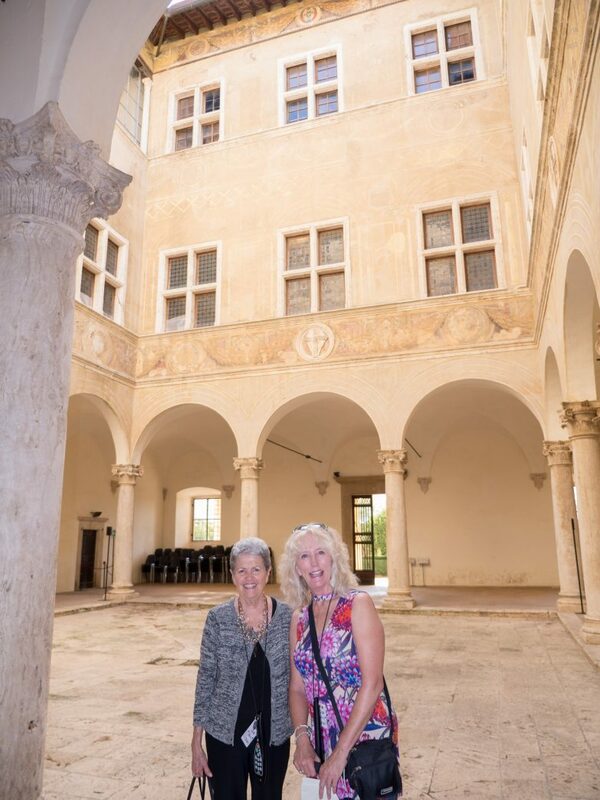 One of the highlights of our visit was seeing the Palazzo Piccolomino, the main residence of Pope Pius II, with its beautiful courtyard, gardens, and views of the surrounding Val d’Orcia. 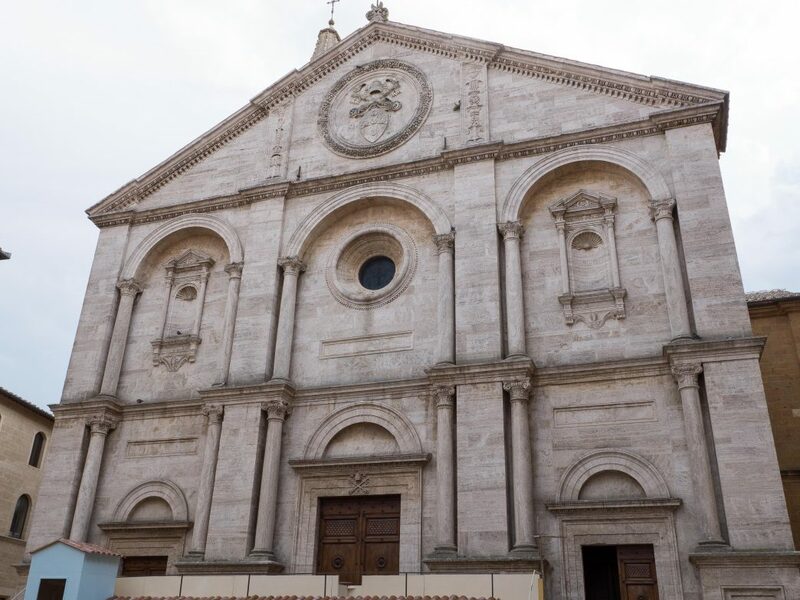 Pienza’s Cathedral is a masterpiece by Rossellino that combined Gothic style and new Renaissance ideas. 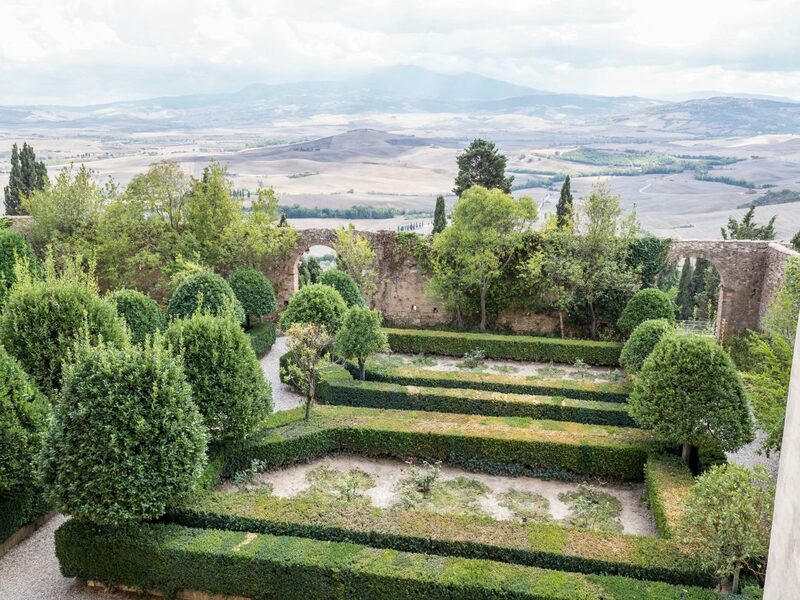 In Pienza, you can enjoy beautiful artistic and architectural beauty, in a peaceful setting away from the large crowds of the bigger Italian cities. 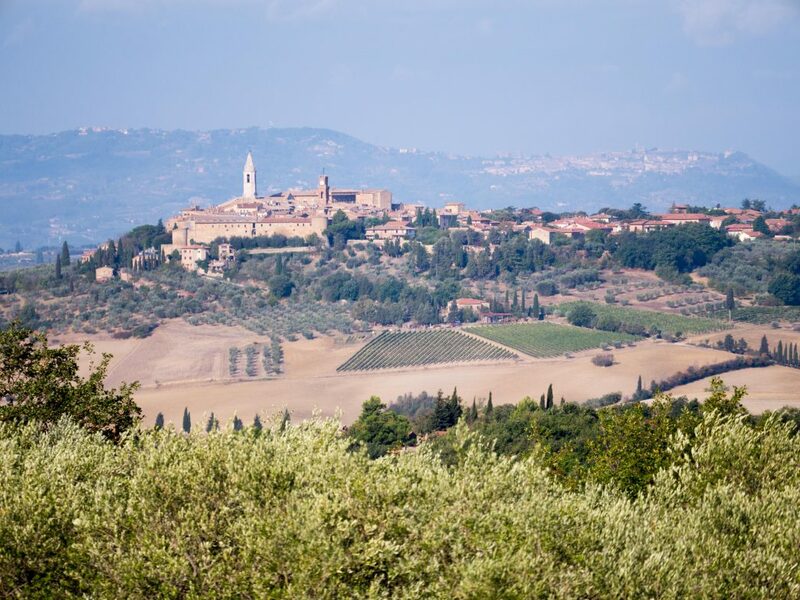 Contact us to help you plan a trip to Pienza! Beautiful, beautiful blog post Pete. 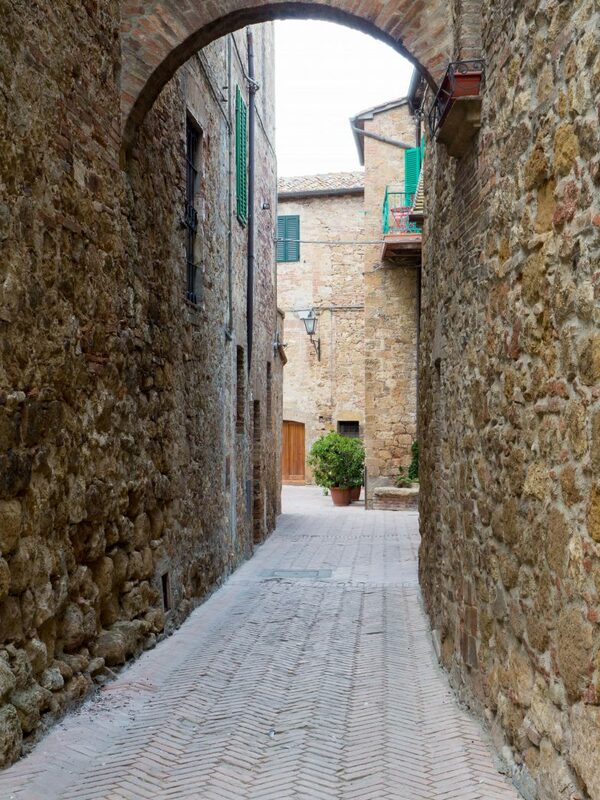 Pienza is stunning and your pictures are so beautiful!